Well hello there! Trimmings? I hear you think, yep trimmings of fabric but what should I make with them? The trimmings are from Umbrella Prints and they are running a contest challenge thingy where you use their trimmings and make something from them. Something, anything, just make it! So this is what was in the pack of trimmings I purchased, all sorts of designs on various thickness of fabrics. Hmm, commence the scratch of the head. What shall I make? What do I need? What can I make (that is within my capabilities)? The first thing I decided was that I didn't want to have to buy other materials to finish the item, so that ruled out any cute quilt or sewn stuff. Secondly, what is there that I need? I could make another bowl like I did last year but nah, I don't need another. And whammo, it hit me... a fab idea! You see, I glanced over to the fridge and sighed at the crappy mess on it. 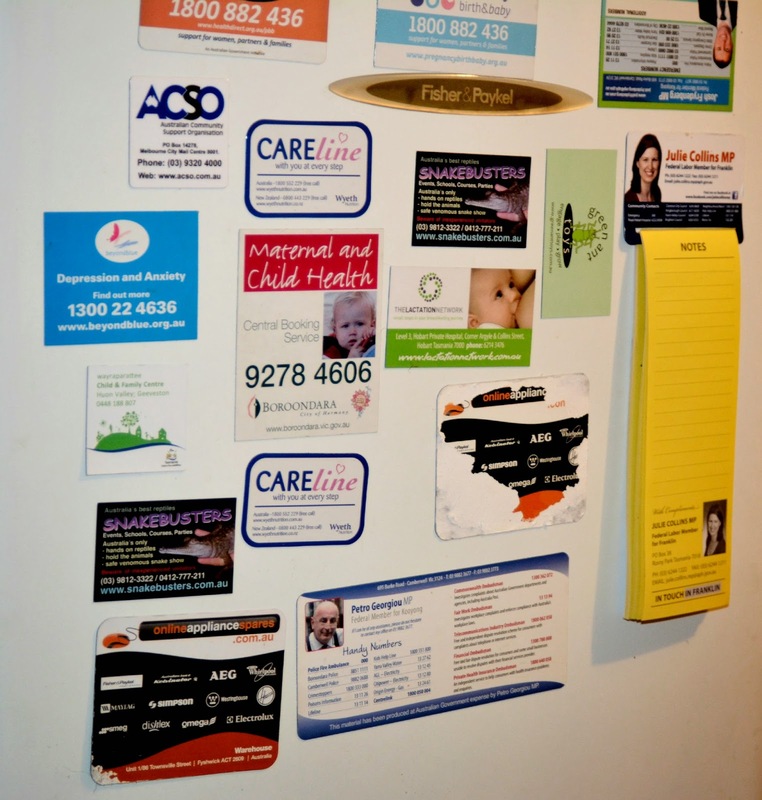 Seriously, look at all those hideous magnets adorning it, it's quite ugly. So, then it dawned on me, I can use the trimmings to cover the magnets. Brilliant! It's really pretty easy to do. 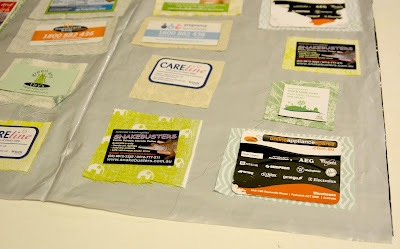 Just put a protective sheet onto your workspace (in my case an old postage satchel on the kitchen bench), lay out all the fabric, match the magnets to the size of the fabric. Turn the fabric face down, spray with glue (using the directions on the glue) and press down the magnet (picture side down). Wait for it to dry and then trim to size using a craft knife (or in my case a box cutter) and then decorate your fridge! There is of course, a lot more of the fabric covered magnets on my fridge but hey, I just couldn't get a snap of all of them & make it look pretty at the same time without having to clean up the crap on top of the fridge, next to the fridge and wipe the actual fridge down! So, what do you think? I think they turned out pretty good & they look super cute holding up my 4yo son's pictures! 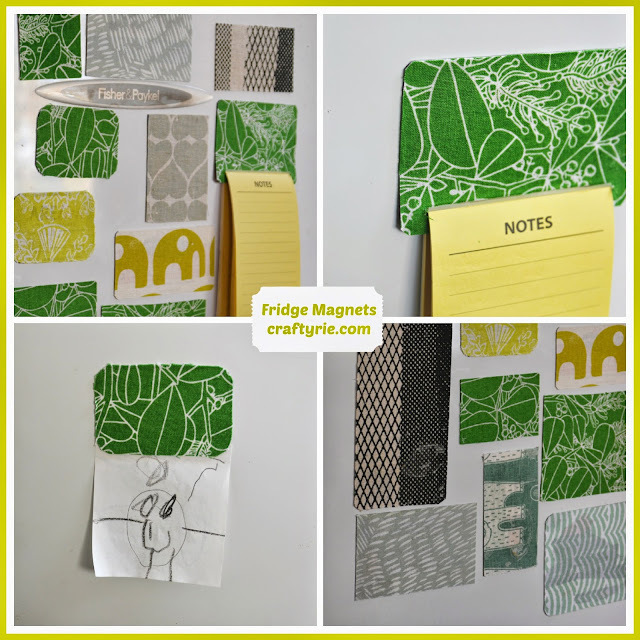 now it would be totally fun to make fridge "quilts" out of rearranging the magnets! My kiddies are enjoying making the fridge quilts, it keeps them occupied whilst I'm cooking.